Suggested Citation: Anderson, Mary B. 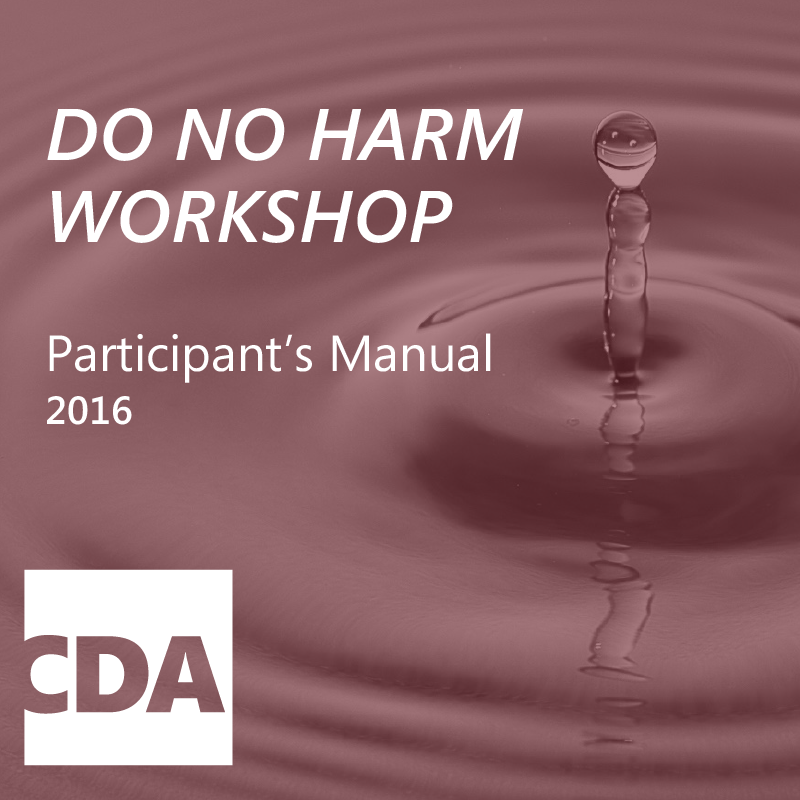 Do No Harm: How Aid Can Support Peace – Or War. Boulder, CO: Lynne Rienner Publishers, 1999. 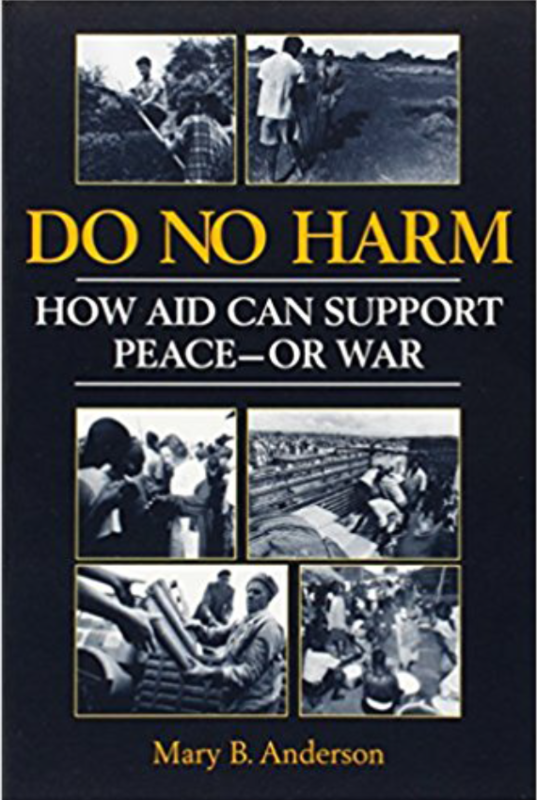 This is a book about how aid and conflict interact. Based on broad experience of providing international assistance in conflict settings, it is neither theoretical nor speculative. The data are facts gleaned from past action and what has been learned from that action. When international assistance is given in the context of a violent conflict, it becomes a part of that context and thus also of the conflict. Although aid agencies often seek to be neutral or nonpartisan toward the winners and losers of a war; the impact of their aid is not neutral regarding whether conflict worsens or abates. 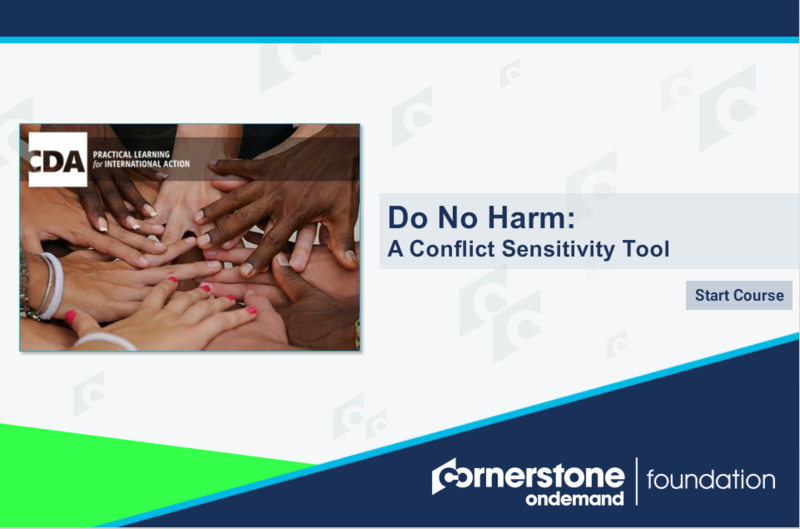 When given in conflict settings, aid can reinforce, exacerbate, and prolong the conflict; it can also help to reduce tensions and strengthen people’s capacities to disengage from fighting and find peaceful options for solving problems. Often an aid program does some of both: in some ways it worsens the conflict, and in others it supports disengagement. But it all cases aid given during conflict cannot remain separate from the conflict. Translations of the book are available in English, Bahasa, Japanese and Nepali.